Top hidden WhatsApp tricks and tips. Interesting latest hidden WhatsApp tricks and tips. The evolution of communication is considered by the latest WhatsApp application. This is a real fact that more than half billion users are counted in WhatsApp. The WhatsApp scores a good level of attention to the users criteria and loved by the people in a large extent. The simple and easy UI keeps the application to be a most functional one. This really replaces the SMS in a smart way. The productivity and the output are reached to the maximum extent. Thus, all the WhatsApp lovers try to recommend this amazing application to their friends and family members in a lovable way. So AllGadgetsReview is here for you to review and easily point out the tips and hidden secrets of WhatsApp in a simple way. The mobile and communicable gadgets are nowadays pre-integrated with WhatsApp application to serve better feature to the users. Thus, the WhatsApp gains it greater exposure in every way perfectly. WhatsApp’s hidden tricks and tips on the go. The following hidden and easy tricks will be explained briefly in this blog post. Use WhatsApp without any mobile number registration. Send any files to your friends via WhatsApp. Create fake (not a real) conversation in WhatsApp. Run multiple WhatsApp accounts in a single device. Change your WhatsApp mobile number instantly. Stop automatic downloads and save data. Lock the WhatsApp and strengthen the privacy. Hide your profile picture for safety. 1.Use WhatsApp without any mobile number registration. 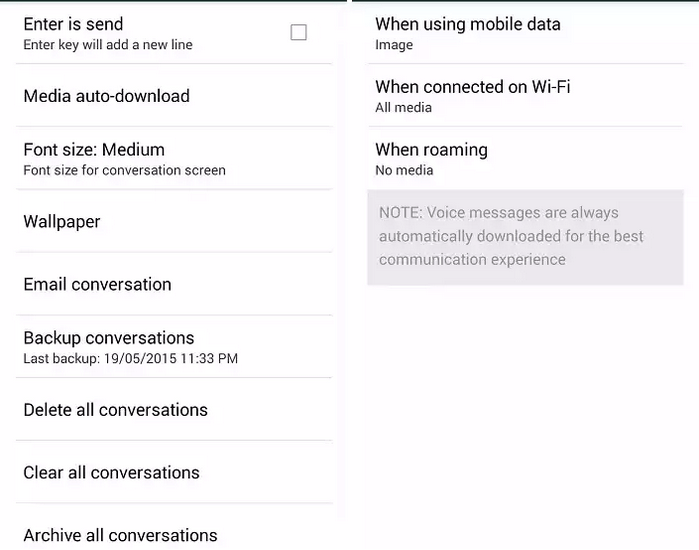 The WhatsApp application is freely usable in any non-sim supported device. 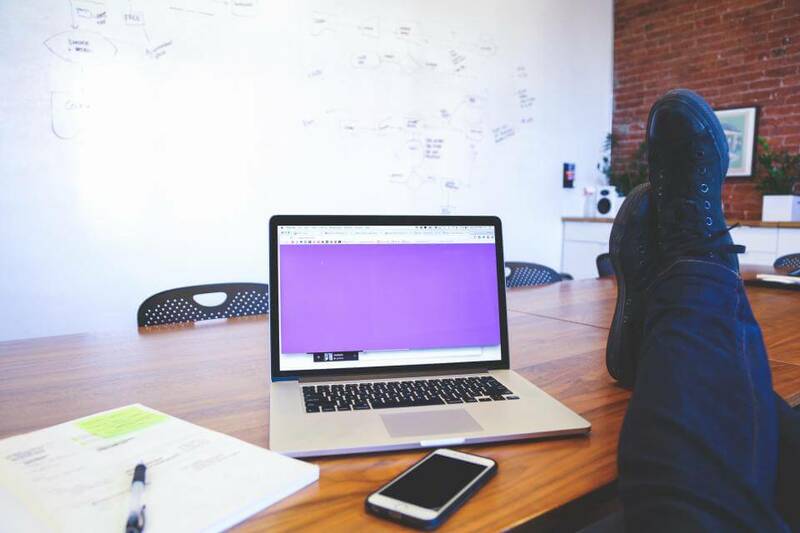 The application can be accessed via the Wi-Fi connectivity without any cellular data connection. This can be easily done by following the below steps. Download the WhatsApp application in your device like Tab or any normal device. It will try to send the SMS, but it will not be received or works as you need to insert your sim card in any other devices. Wait for 10 minutes and now the WhatsApp will ask “call me to confirm” just click it. You will receive a call and the “confirmation code” will be provided in that call. Now enter the code in your Tab or mobile to access the WhatsApp without any problem. 2.Send any files to your friends via WhatsApp. To send the unofficial files such as RAR, APKs, PDF, ZIP files in WhatsApp, the user must install two major application named “CloudSend“ and “DropBox“. Note: WhatsApp allows users to share the files that are not exceeded above 15MB. Install DropBox and CloudSend application in your device. Open the CloudSend and you will be asked to “link with DropBox”. Just link it and send the files to your friends by sending the files to the CloudSend. Finally copy the URL link of the sent file and simply send it to your friends easily. 3.Create fake (not a real) conversation in WhatsApp. To fool your friends or to prank your fellow people, you can rock with the Fake WhatsApp conversion trick. In order to create any fake conversation, you will need to have a major application named “WhatSaid” in your device. The application “WhatSaid” should be opened and the victim picture should be provided in order to make a Fake WhatsApp conversation screen. 4.Run multiple WhatsApp accounts in a single device. Download “OgWhatsApp“ application or download “WhatsfApp“ android application to handle multiple WhatsApp account in a single device. If your mobile is rooted then it is easy to switch between multiple WhatsApp accounts. Use “Titanium Backup” application and simply backup up to 50 WhatsApp account at once and you can switch between the accounts easily with the continuity support. 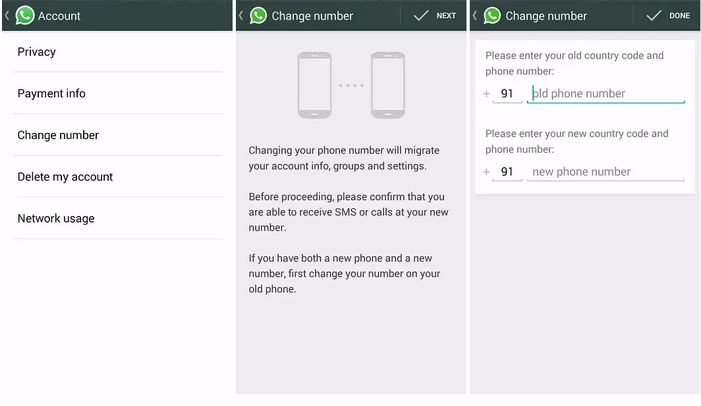 5.Change your WhatsApp mobile number instantly. You can also change your mobile number in your WhatsApp account easily as per your choice. If you like to show the secondary mobile number as your WhatsApp display number, then it is very easy to change it. Simply Go to Settings –> Account –> Change number. Change WhatsApp mobile number safely. 6.Stop automatic downloads and save data. The data usage will be normally less while we compare it with the other applications in our gadgets. But due to huge population in the WhatsApp area makes you annoyed with the several WhatsApp Group messages. So saving your valuable data is a must needed one. AllGadgetsReview recommends you the below option to save data bandwidth. Go to settings –> Chat settings –> Media auto-download. We recommend you to select “No media” section in every area to save your valuable data. Custom auto-download option in WhatsApp. The WhatsApp is also available to access via your PC or laptop screen in a simple way. The official and unofficial methods are available in this decades to manage the WhatsApp account on the larger screen. Just visit web.whatsapp.com and scan the QR code shown in your desktop screen through your mobile camera to access it. The another method is that you can access the data using the “Third-Party” computer software like “Bluestacks” and “Youwave”. 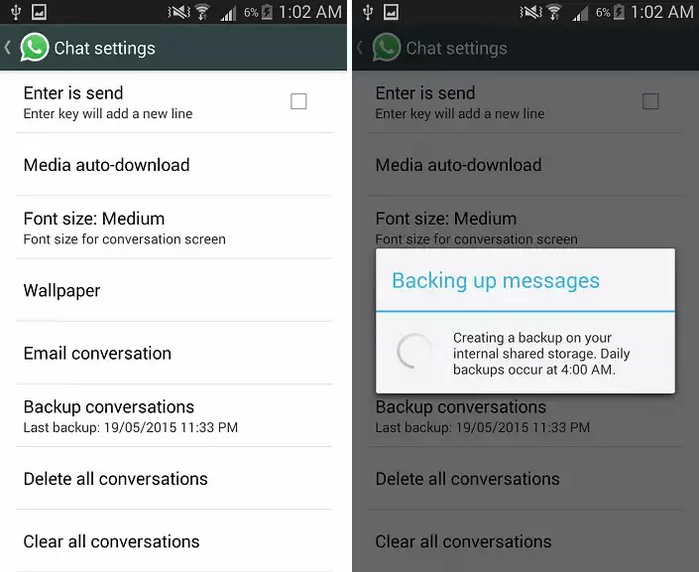 To save the WhatsApp messages to have the fruitful memories, you can make a full backup of the conversations in just 10seconds. Go to settings –> Chat settings –> Backup conversations. 9.Lock the WhatsApp and strengthen the privacy. Privacy is the major thing to be considered in these days. So locking the WhatsApp is to be made with care to safety the path. The application such as “Messenger and Chat Lock” can make your WhatsApp a secret place. This will make your privacy a strong one. 10.Hide your profile picture for safety. The major Hole in WhatsApp is that every person can access your “Profile Pic” easily if they generate random contacts in their device. These will make the thieves to easily hijack the Profile Picture and can create a mess with it. 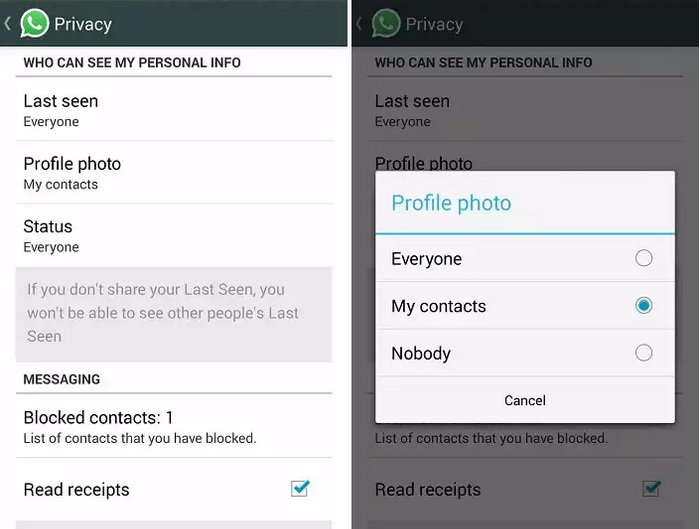 So, WhatsApp has introduced a new option regarding the profile picture exposed. The below settings will help you to safeguard the profile picture effectively. Go to settings –> Privacy –> Who can see my personal info –> Profile picture and select the desired option. We recommend you to choose “My contacts”. Hide or safeguard WhatsApp profile picture. There exist even more tricks and tips in WhatsApp application. Stay connected for accessing more materials in future days and don’t forget to subscribe to our premium newsletter.